American Lawn Maintenance and Landscaping Services have been in business since 2004. We provide quality services and make sure our customers are fully satisfied, with many years of experience we assure your satisfaction too. Our Landscape Maintenance service is the art and vocation of keeping a landscape healthy, clean, safe and attractive, typically in a garden, yard, park, institutional setting or estate. Using tools, supplies, knowledge, physical exertion and skills. Trimming of small trees, no more than 8′ tall, shrubs, and any other plants that need pruning. 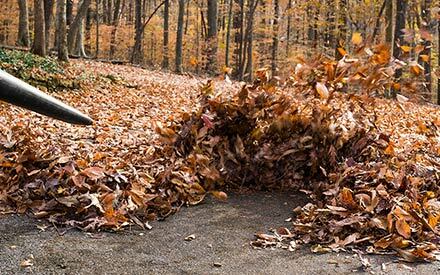 Blowing leaves, natural debris, and discard. Fertilization of the lawn’s soil, inspection of plants and insects’ activities. Contractor will provide information to clients in the event insects or rodents are seen in the property boundaries. * Pine Straw and mulch will be quote on customer’s request. * Flats of Annual flowers twice per year in specified areas at additional cost. The groundkeeper or contractor is not responsible for watering the sod or plants in general. The contractor will keep close watch of all plant material and irrigation system if available and will informed client of any issues that may arise in the outdoor landscape of the customer’s house surroundings. (It is assumed that most plants can survive for at least one week without irrigation, during which time any irrigation problems should become apparent to the contractor. Contracts are issued Contracts are issued only in yearly basis. Either party may terminate this contract at any time by supplying a written notice of termination on a specified date to the other party, with at least two weeks’ notice prior to the stated date of termination.